In ShaanXi province, central China. 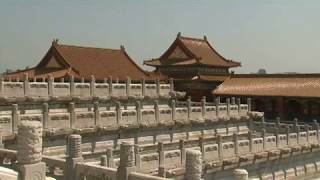 The burial site of Qin Shi Huang, the first emperor of China. Circa 210 BC. About 20 miles east of Xi'An. Xi'an is one of China's oldest cities, the eastern end of the old Silk Road and home to the Terracotta Warriors that date from the Qin dynasty.